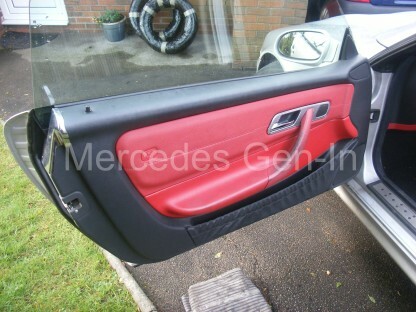 I have recently taken delivery of a used S Class Mercedes, 2002 model W220. 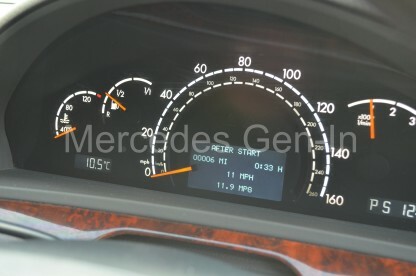 During the first few days of ownership the amber engine check lamp in the dash illuminated and stayed on. 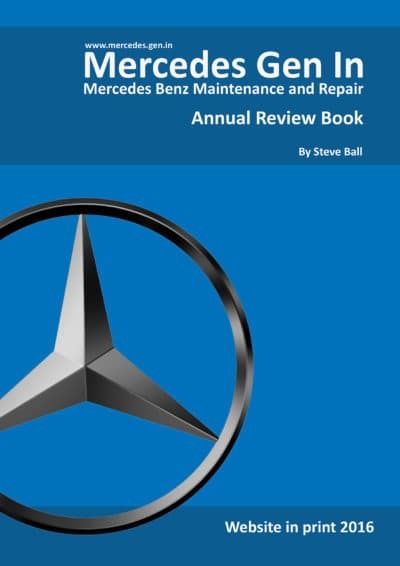 Plugging in the AUTEL diagnostics tool revealed a P0410 fault code relating to secondary air injection, so I set about troubleshooting and fixing the problem. 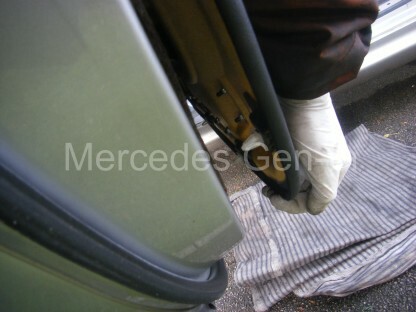 Remove front section of engine cover by lifting up and pulling forward. 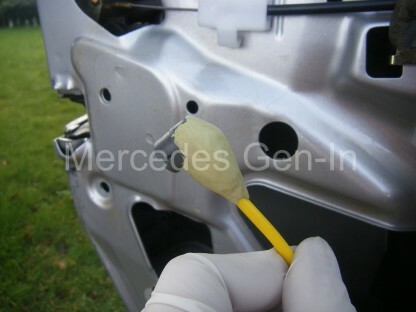 Apart from aiding to prolonging the life of the catalysts and meeting lower emissions targets the secondary air circuit does not effect the normal running of the vehicle if it is disabled in a particular way until a fix can be carried out. You may remember older engines such as the 320 I6 of the R129 ran at elevated rpm’s until warm and held on to auto gear changes until the CATs were up to temperature – this is an alternate design. 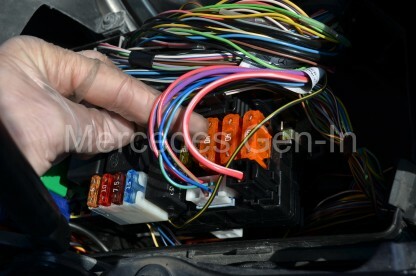 The way to disable the system is to remove and plug the single vacuum outlet (the base of the clear thin pipe to the left in the picture above) from the control solenoid to the air check valves, one either side of the v6,v8 and v12 variants, then simply pull the control relay from the right hand fuse board in the engine compartment. Relay N. or pull fuse 31 (40A) orange. This will accomplish two things until you get chance to repair the system, although please note it will not extinguish the engine check lamp. 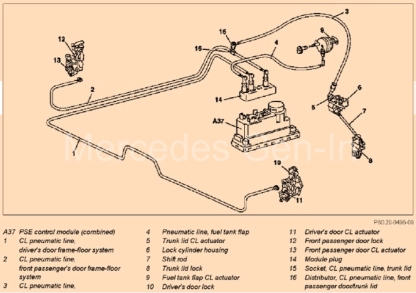 It will prevent any electrical current flowing to the secondary air pump and it will also prevent the air check valves on the exhaust manifolds opening with the possibility of allowing exhaust gasses to exit via the disabled air pumps delivery pipe. People have wrongly assumed that the secondary air system only operates at start up, this is not strictly true. 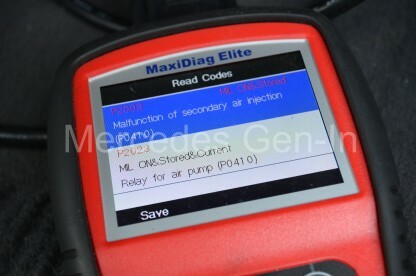 What happens at a variable point during the drive cycle when certain engine conditions and running criteria are met, is that the secondary air pump is cycled for a short burst, check valves are opened and the ECM monitors and compensates for a change in the O2 levels measured in the exhaust gasses. Here is some info on the conditions that are required to be met for a check to be made by the ECU/ECM. 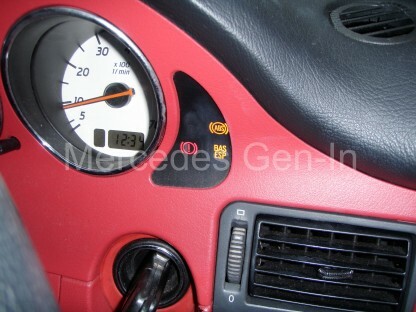 It is worth noting that it takes faults to be detected on two engine start/run cycles for the engine management lamp to illuminate on the dashboard. 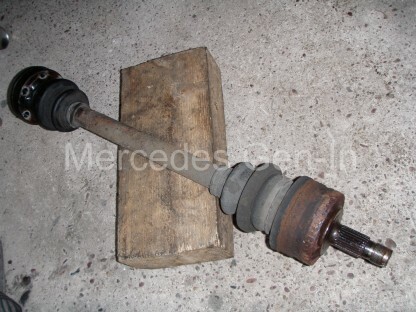 Mercedes – Secondary air injection pump. It does this among other things by monitoring fuel trim and by identifying emissions changes then comparing its findings to an inbuilt reference map. 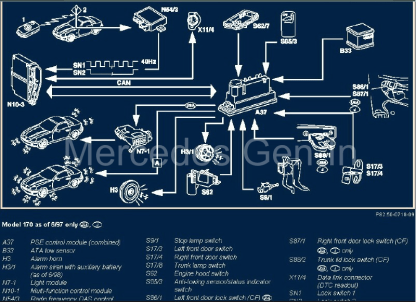 From this it can conclude that the secondary air circuit is functioning correctly – engine management is happy! Should it detect a incorrectness or deviation from the changes expected within the combustion gas control loop, then it will flag up a secondary air injection error. 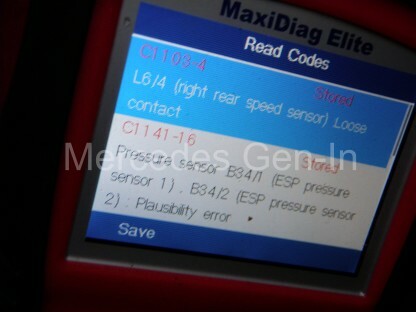 The reason it checks in this manner during the drive cycle is it can effectively test out all components in the circuit in a few seconds, air pump, air supply piping, electrical controls, check valves and actuating vacuum etc. If even one of these control sections is giving issue, then its comparative live testing will result in a fail and flag the P0410 fault code. Both control relay and fuse located in right hand fuse board. 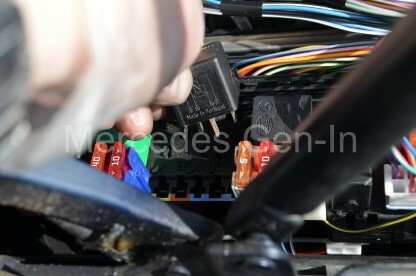 On start up from cold the secondary air pump relay ‘N’ is commanded to close, this applies voltage to the air pump DC motor protected by a 40A fuse, Fuse 31. At the same time the electrical solenoid controlling the check valve vacuum is energised, allowing vacuum to pull open both diaphragm caps. 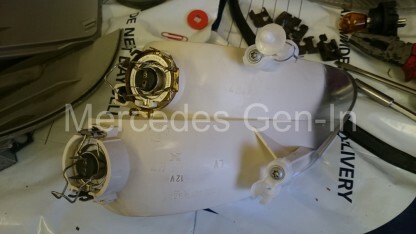 Air is collected and pumped into the check valve heads by the twin vane air pump into a rubber supply hose that interconnects both air check valves. Air enters the open diaphragm caps and passes through a pair of non-return ‘reed’ valves into the exhaust header or manifold on each side of the engine (In a V configuration – obviously only one check valve if this system is used on any in I4 or I6 engines) Pumped air then mixes with the combustion gasses and achieves the engineered effect of raising CAT temperature and assisting in burning off any traces of enriched combustion fuel, cleaning up its act during the initial start cycle. The pump/blower running time is usually between 45 and 90 seconds after which the turbine will cease to rotate, check valves will close and unassisted combustion will continue. 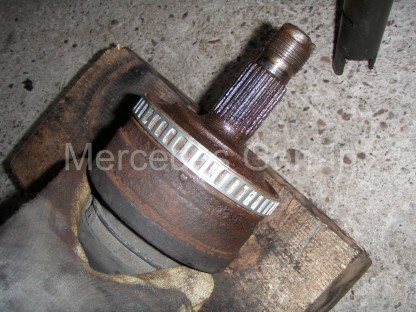 Only after the engine has warmed up and at some further point during the current drive cycle will the system be checked once more for correct operation. There are several faults that can occur to raise the P0410 code and resulting amber warning lamp, but often it is down to a failure of the secondary air pump itself. What commonly happens is that the normally open TYCO power relay N ‘splashes’ its contacts and sticks closed, due in most to continued contact arcing. The relay is rated at 35/40A and the current drawn by the secondary air pump under full load can be as high as 35A which as an inductive load pushes the relay to it maximum as far as contact rating is concerned. 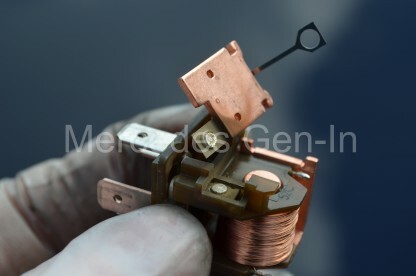 Once the silver contact area of the relay has deteriorated unreliable operation will result. Worst case is that the relay sticks on and the air pump remains powered beyond its 90 second period and running continuously to its final destruction. Relays in this circuit as well as ones in the Air-matic circuit should, in my view, be changed as a service item every 50k or so miles to attempt to prevent costly pump repairs. 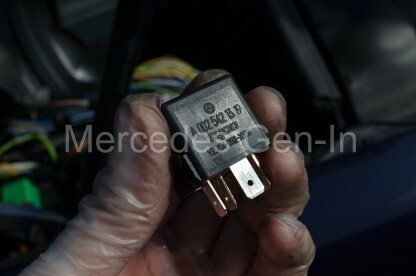 A new secondary air pump from Bosch will cost in the order of £300 for the part alone and maybe £35 for the correct relay. The resulting maths is simple. 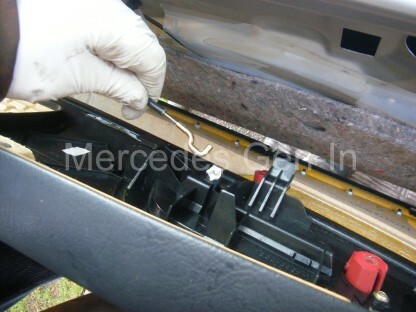 Testing the pump is straight forward, lift up and off the front section of the plastic engine cover and remove the air pump power connector, apply 12v to the exposed contacts from an external source and listen to the sound the pump makes – if any. It should sound like a vacuum cleaner motor as it spins at a very high rate, if it sounds like its arcing or rough running its probably at end of life. If you have the means of monitoring the running current of the motor (DC clamp meter) ensure it is running to spec. 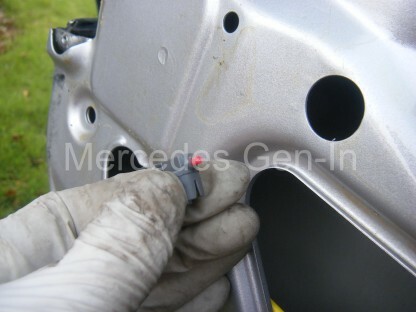 Removal is done by removing the single reverse torx set screw from the aluminium saddle plate that clamps the pump between the front of two cylinder heads. 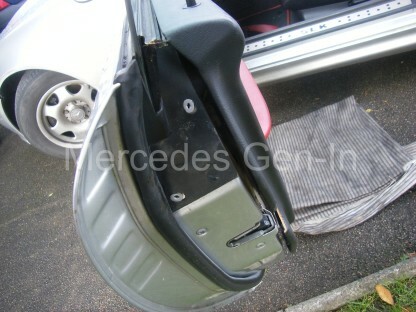 Once this forward facing saddle plate is removed, work loose the rubber connecting hose from the pump outlet and once free, remove/jiggle the pump free from the car. Replacement is an exact reversal of this procedure. 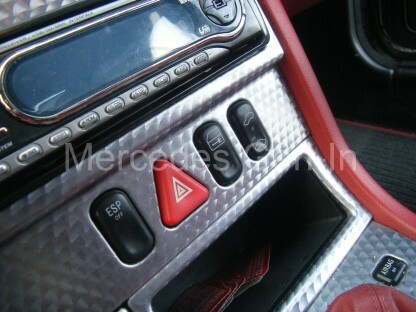 OBD port under dash area next to driver footwell. The pump if faulty must be replaced along with the N control relay and if blown Fuse 31 (40A). As it is most probable that the pump failed because of the relay it should be changed as a matter of course in all cases as we would not want the new item damaged in the same way as the old one – just for the sake of a new relay! 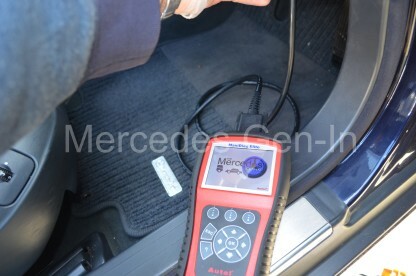 P0410 Faults recorded and cleared with Autel MaxiDiag Elite. 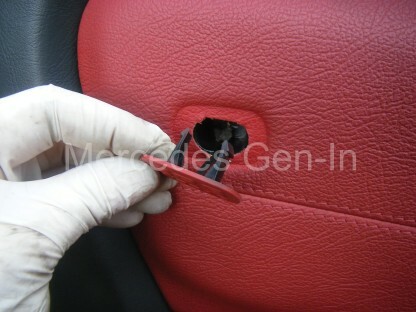 Once erased you will need to cycle the ignition for this fault to fully clear. I have dismantled both the N relay and secondary air pump so that you can how the items are made up and the issues that cause the relay to stick and the motor to self destruct, there are a few additional photographs below showing the detail of this ‘post-mortem’ carried out on the damaged parts for useful info. 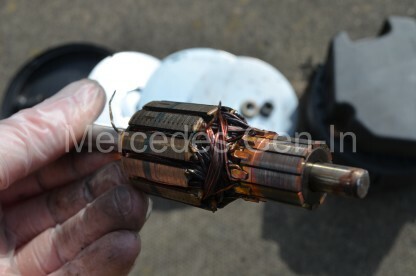 Burned contacts from relay ‘N’ that stuck closed causing the secondary air pump motor to run to destruction. 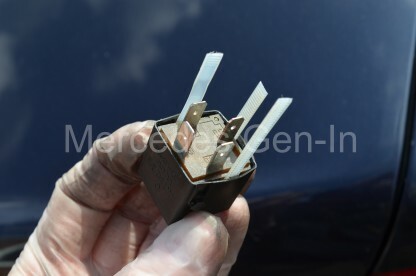 Replacing the ‘N’ relay is simple, locate it in the central portion of the right hand (drivers side UK) fuse board k40/7 module or SAM in the engine bay (right side fuse box detail here), fuse 31 is there also, and is the most inboard of the three 40A orange Maxi-fuses located toward the front edge of the SAM. 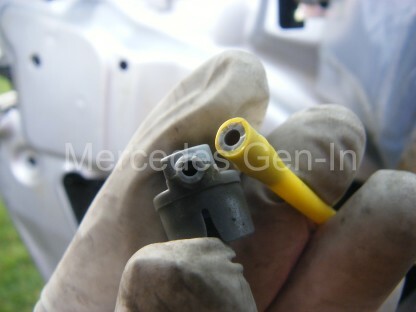 Internal parts of secondary air injection pump. Obviously when you have completed the work you will need to erase the fault code flag from the ECU with a suitable code reader, in this instance I used my Autel. 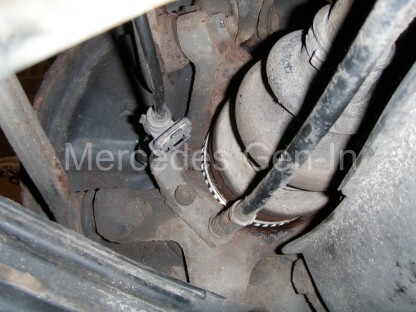 The standard OBD port is under the dash next to the drivers foot well, near the bonnet release on UK cars. 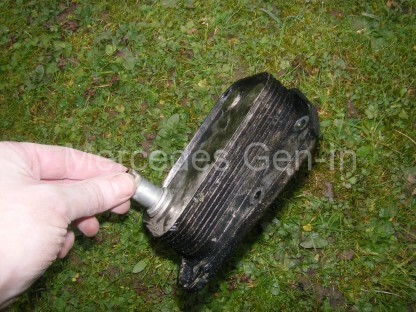 Burned out rotor of the air pump, probably due to overheating. 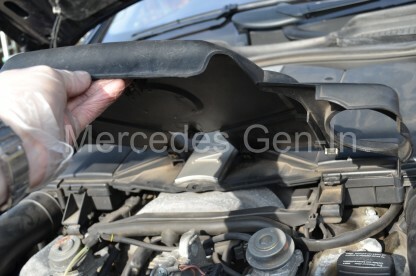 Once the work is completed, leave off the plastic engine cover until you have started the car from cold, you can then hear the fan running and monitor at what point it shuts down (45-90 seconds after cold start) if it continues to run much beyond this time there is likely to still be a problem somewhere and you are best to disconnect the motor until it is further investigated as it is a high power, high rpm motor that is not at all rated for extended use beyond its designed short duty cycle. 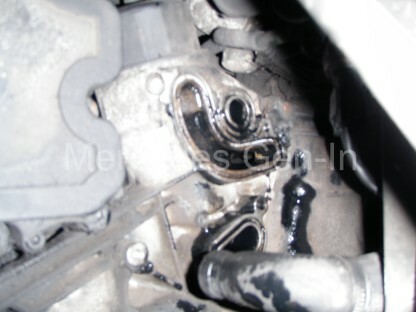 It is worth checking the vacuum actuation components and piping with the pump motor housing removed, any hoses that are split or look bad should be replaced. 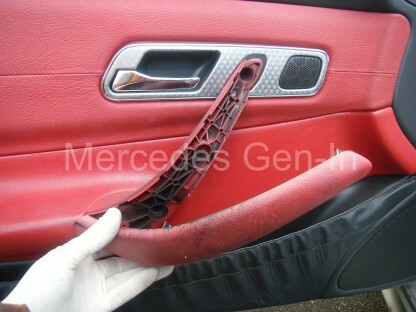 A word of warning – do not pull or disturb the slightly thicker flexible vacuum pipe that disappears into the central ‘crutch’ between the front of the cylinder heads, if this becomes detached/broken then the complete engine has to be stripped to reattach it. You are best to identify this hose before working in the area – In my view it is best left undisturbed! How to safely remove the case of a power relay for inspection. 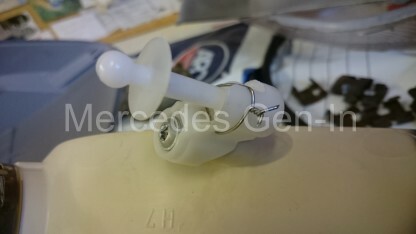 Pry each side carefully with a screwdriver just enough to insert a cut section of cable tie, once all four sides are like this the relay will simply slip out of the case without damage. In the vicinity of the black vacuum solenoid that diverts supply to the air check valves is a small blue plastic vacuum check valve, these have been known to stick and cause incorrect operation of the air injection check valves. Often in colder weather, moisture accumulates in this device rendering it intermittent in operation, as the weather warms and it dries out then the problem disappears, only to return once the weather dips back to winter humidities again. 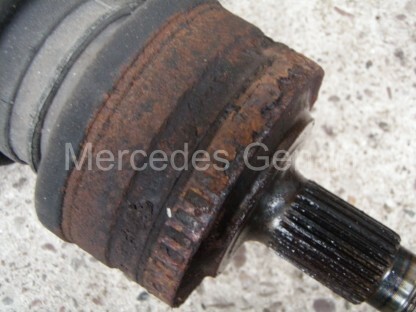 If you can replace this part while you are in there, do so, its cheap and readily available through the dealer parts network or from several web based pattern part sources. 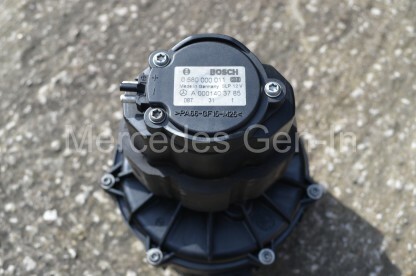 Label on the air pump showing both Mercedes and Bosch part numbers, For the S500 W220 and ML320 W163 the MB part number is: A000 140 37 85 If purchasing used parts check these two numbers against your replacement. 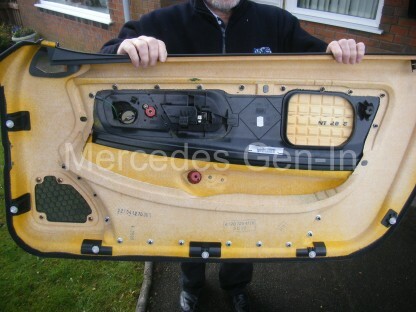 Once you are satisfied all is well, refit the top plastic engine cover, check the fuse box lids are locked closed and clear any leaves or debris from the bulk head drain holes/flaps before shutting the bonnet and congratulating yourself on a job well done! 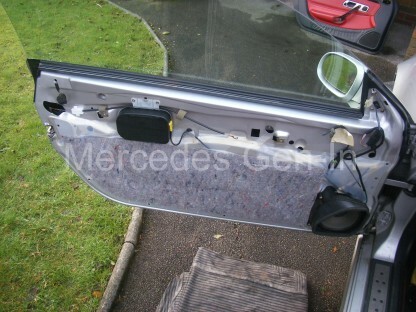 A job that would have cost in the region of £1000 with not much change, if it were to have been done at a Mercedes dealer. 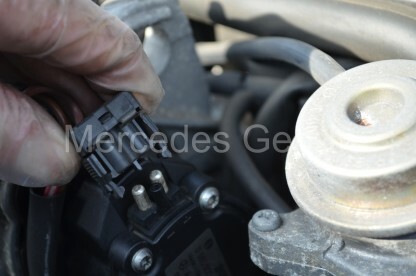 Test cold start, listen for the pump to run and switch off anywhere between 45 and 90 seconds after start. Note – fault light cleared in this picture. As many of you probably know oil seen in the header tank is often the sign of imminent head gasket failure. 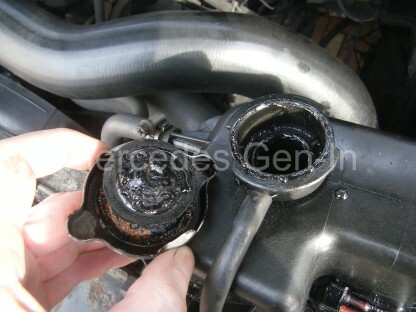 But before condemning any Mercedes CDI diesel engine to head gasket failure, especially if the vehicle is otherwise running well and not throwing out white smoke from the exhaust or maybe you would have expected to find some water in the oil, there is one place to check first. 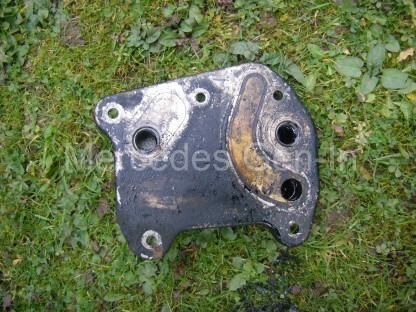 The engine oil cooler. 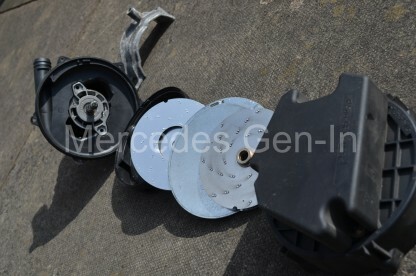 The engine oil cooler on Sprinter and other Mercedes CDI engines through the range of commercials and passenger cars is a pancake aluminium pressed fin block, that sits directly behind the oil filter housing on the right side of the engine looking in. 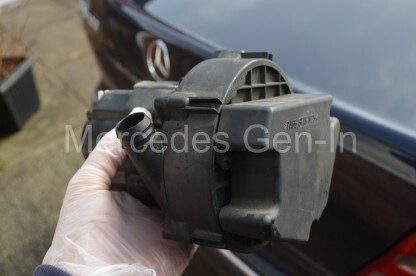 This heat exchanger has two sets of internal galleries, one for engine coolant and the other for engine oil. 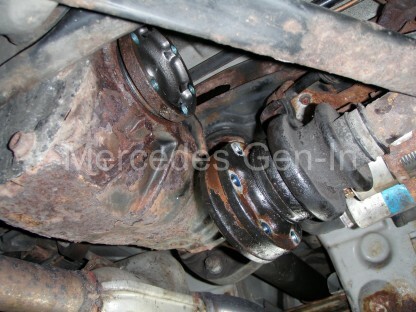 This provides conductive cooling of the engine oil shifting its heat to the circulating cooling water system. 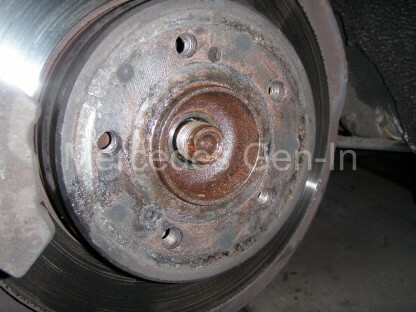 What happens is that the internal galleries corrode, usually due to lack of inhibitants in the antifreeze or the mix ratio simply being ‘to weak’ to prevent corrosion. 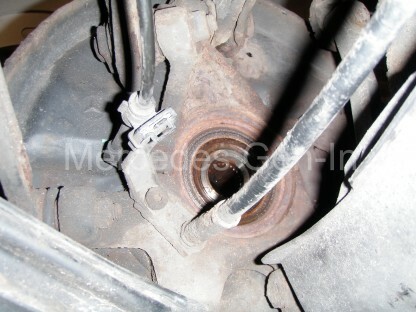 Over time the internal galleries can perforate from one to the other and the resulting high pressure oil in the primary high pressure circuit moving through the oil filter, is forced into the water system and onward to the header tank if it finds an easier path through a pin hole or crack. Depending on the severity of the leak, this can be anything from small trace amounts of oil appearing in the water or as in our case, huge oil migration. So bad in fact that the driver first discovered that his oil light came on, later when he topped up the oil with over 4 litres it lasted for only 40 minutes of normal driving before the oil light illuminated once more! When the vehicle came back to the yard we checked the water reserve and it was full to the brim with black ‘tar like’ oil emulsion, so bad that it was clogging the cooling system. On removing the bottom hose from the radiator we drained the system of about 2 litres of oil, we removed about another 3 litres of tar from the expansion tank. The van ran perfectly in every way except for the massive oil loss into the water system. Rightly we suspected the culprit to be the oil cooler, as in our opinion, no head gasket failure would act in dumping these quantities of oil in this uncontrolled way. 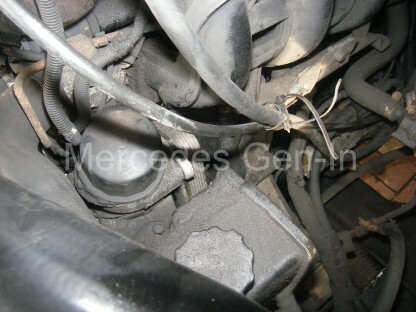 To remove and replace the oil cooler first drain the coolant system (if you hadn’t already!) 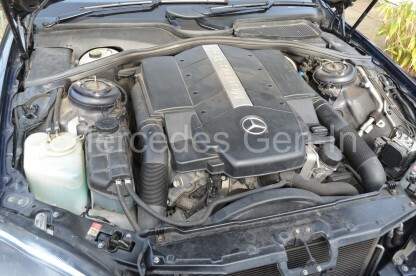 Then remove the top induction hose from the intercooler to the inlet manifold for access. 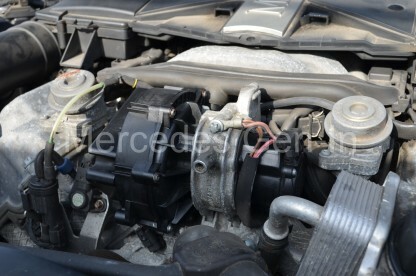 Undo the hose clip and remove the flexible water hose from the oil cooler and tuck it out of the way. There are five reverse torx oil cooler bolts that are slightly awkward to access that hold the thicker pancake cooler’s back plate to the alloy oil filter casting. Once removed, the cooler can be pulled free, up and out of the engine bay. Often even if you block off and blow air into the water gallery (the cleanest port for your mouth!) 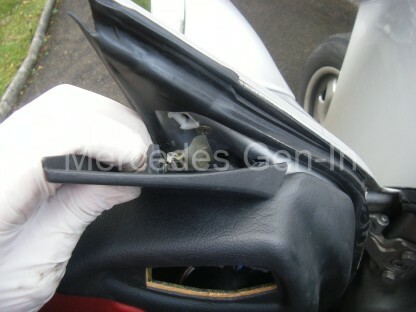 of the suspect oil cooler, it is impossible to detect a leak of even the size we had, between oil and water ways. So if you suspect it – change it. 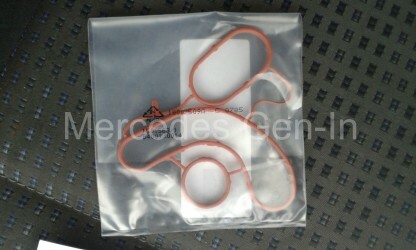 You will always need a new orange sealing gasket to face between the replacement oil cooler and oil filer housing. 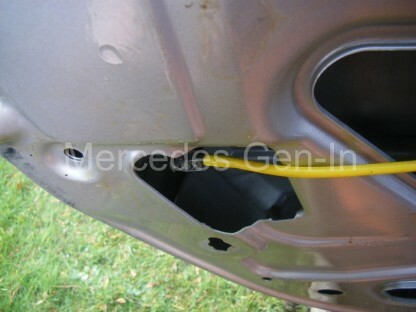 It costs around £4.00 and an old gasket should never be fitted, as it rarely seals due to its complexity. 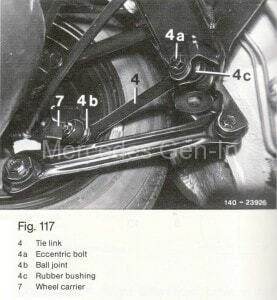 You will most probably need the use of a ‘shaving mirror’ to clean the recess and place the new gasket in its correct positional groove on the rear of the oil filter housing – even a spot of gasket sealer here and there, just to hold it vertically in place while you rebuild, may be required. Lower the new plate cooler into position and carefully push it flat against the gasket on the filter housing, keeping pressure, ‘slide’ the plate to align the fixing holes and refit all the reverse torx holding pins. 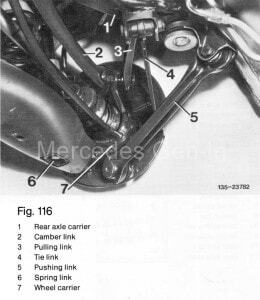 Check with a torch that the gasket has not moved during the procedure by looking into the small air gap between the two mating parts, when you are sure all is well, tighten up the bolts. 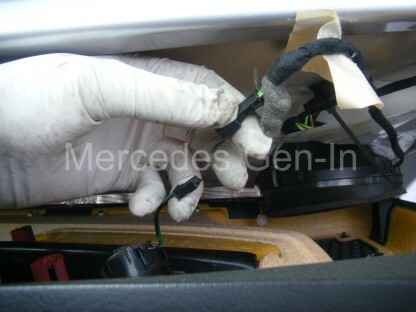 Refit the flexible coolant hose, put back the induction hose and refill the system with coolant. Depending on how well you managed to flush the system of old oil, it will find its way into the coolant reserve for a number of weeks. 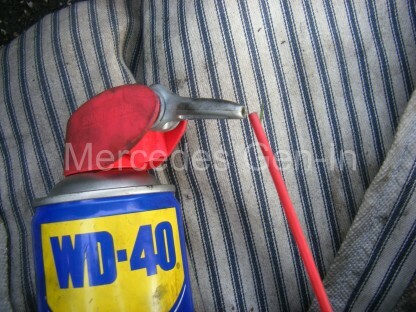 With a warm engine, squeeze the top hose rhythmically while scraping emerging oil residue from the top of the filler cap. Keep topping up with water as you go, when you have removed as much of this black sludge as possible, refit the radiator cap and monitor the oil level over the next few days, de-oiling it again when you can. Eventually it will clear, but it takes time and is dirty work. 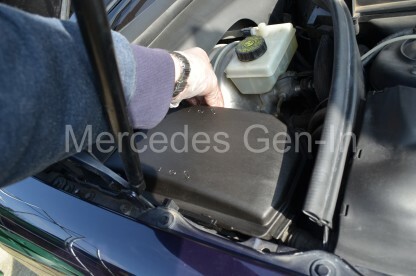 Monitor the engine oil level over the next few days to make sure all is well.